According to Rodney Searight: - [SD720-738] `fr Maggs, June 1967, £100' [+ 3 others, no longer in collection]. There was a large Armenian population, mainly merchants, in Constantinople at this time. The costume studies SD.720-SD740 seem to divide into two categories; those which are apparently copied from other sources (SD.728,731,733 & 734), and those which are based on on-the-spot observation (SD.720-727, 729, 730, 732, 735-740). Possibly the copies, which seem less developed stylistically, were done before Page visited the Near East. For discussions of the dating and origins of the studies, see J.H. Money, pp.13, 22 and 30; also C.W.J. Eliot, pp.424-5. For details of another set of costume figure studies by Page, some identical to these, see Searight Archive. See also C. de Brockdorff and O. Dalvimart for comparable studies. 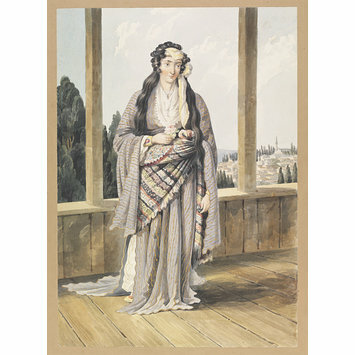 It has also been suggested (Searight Archive) that Page may well have been influenced by L. Dupré, whom he could have met in Greece or Constantinople, in 1819-20. The two artists are very close in style and format. See L. Dupré, Voyage A Athènes Et A Constantinople, Paris, 1825, in which many images bear comparison with Page. Only one of Page's costume figure studies (SD.732), seems to have been published (see SP.443A). 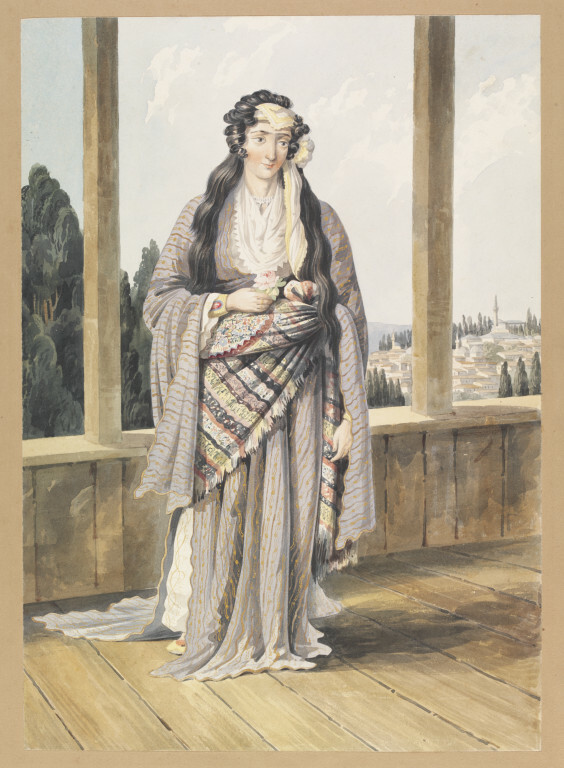 The artist appears to have worked in two distinct styles: the first during the 1810s and early/mid 1820s, represented here by the costume studies and The Fountain of Babhoumayoun (SD.720-741); the second during the late 1820s and 1830s, represented here by the picturesque landscapes (SD.742-756). Another group of landscapes from the second period, some signed W. Page are in the BM, PD.